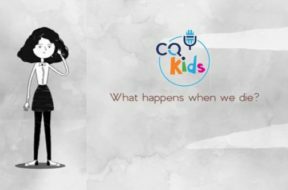 VIDEO: CQ Kids – What Happens When We Die? When someone dies, it’s as if they have gone to sleep. Do you remember last night when you were asleep? Probably not! Death is like sleep; you don’t feel or know anything. So, what happens with a person's "soul" and what IS a soul? Watch this short animated video for more! 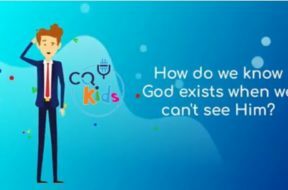 VIDEO: CQ Kids – Will God Give Me Whatever I Pray For? How do we know what to pray for? What kinds of things does God want to hear from us in our prayers? What kinds of things are inappropriate to pray for? We should pray for our needs, not our wants. We must be thoughtful, humble, and respectful in our prayers - after all, we are speaking to the Creator of the universe! Get the answers to these questions and more in this short animated video. 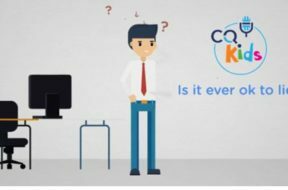 VIDEO: CQ Kids – Is it Ever Okay to Lie? Proverbs 6:17 says God HATES lying, so this sin is pretty serious! We’re trying to copy JESUS, and he is our standard for everything. Jesus NEVER lied, so to be like him, we must try to do the same. The Bible shows us lots of examples of when lying brought trouble, hardship, and heartache. What examples exist of lying? What should we do if we DO lie? 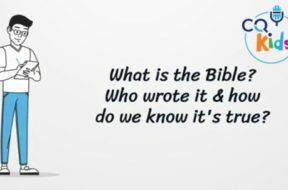 Watch this short video to find out the answers to these questions, and be sure to check our our podcast episode #937, "Should We Ever Llie?" for more examples and Scriptures! 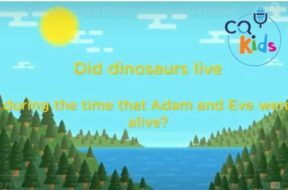 VIDEO: CQ Kids – Did the Dinosaurs Live When Adam and Eve Were Alive? What a great question submitted to us by a 10-year old listener! 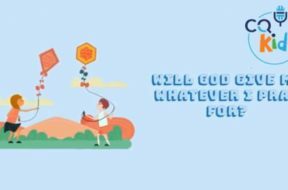 In this short animated video, we answer that question, showing that God is a perfect timekeeper.